Fall is my favourite season of the year because it means layers, soup and everything PUMPKIN. My unhealthy obsession for everything pumpkin comes in the form of pies, lattes, soup, candles, muffins, and just about anything else you can incorporate pumpkin in. 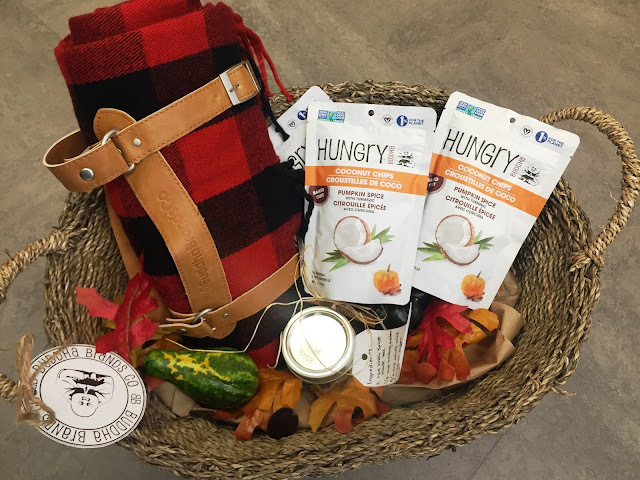 Luckily for me, The Mint Agency sent me a lovely fall-inspired gift basket featuring Hungry Buddha’s Pumpkin Spice Coconut Chips with Turmeric. 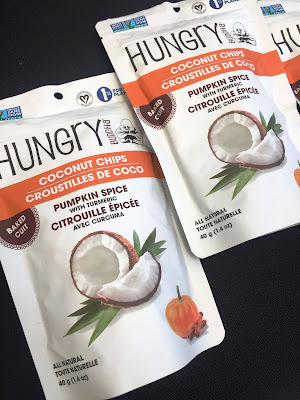 I have tried Hungry Buddha’s products before so I was really excited to try their new pumpkin flavoured coconut chips. These baked coconut chips are all-natural, free of GMOs, dairy-free and vegan making this the perfect snack for just about everyone. They also come in a variety of different flavours such as plain, Sriracha, Chocolate and Wasabi. I haven’t tried any of the other flavours yet but the new pumpkin spice with turmeric is definitely a HIT. The flavouring on the chips were absolutely perfect. They used the right amount of pumpkin, cinnamon and turmeric powder to really balance out the flavours so that the chips weren’t overpowering at all. 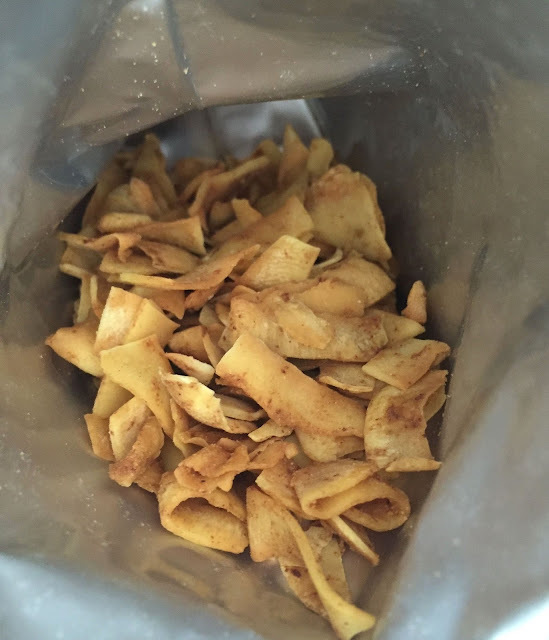 The taste is very present but also subtle, making these crunchy chips highly addictive! I really love the addition of turmeric to the coconut chips since this important spice has many antioxidant and anti-inflammatory properties. It also helps to aid digestion and regulate cholesterol. These healthy snacks can be eaten on their own or added to meals such as my new favourite breakfast consisting of plain Greek yogurt topped with cinnamon, chia seeds, hemp hearts and Hungry Buddha coconut chips! 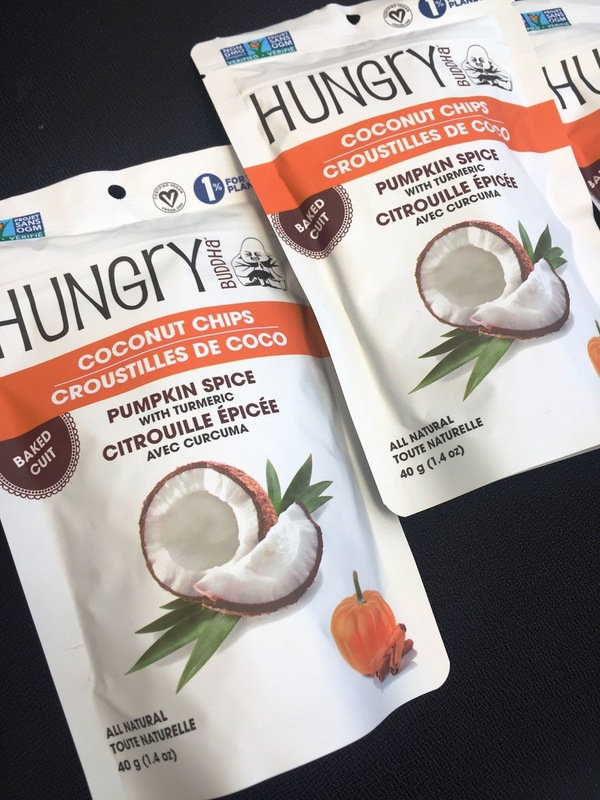 Hungry Buddha's Pumpkin Spice Coconut Chips are available online at http://www.buddhabrandscompany.com/shop/ or at your local Loblaw’s, Bulk Barn and Sobeys.